1. 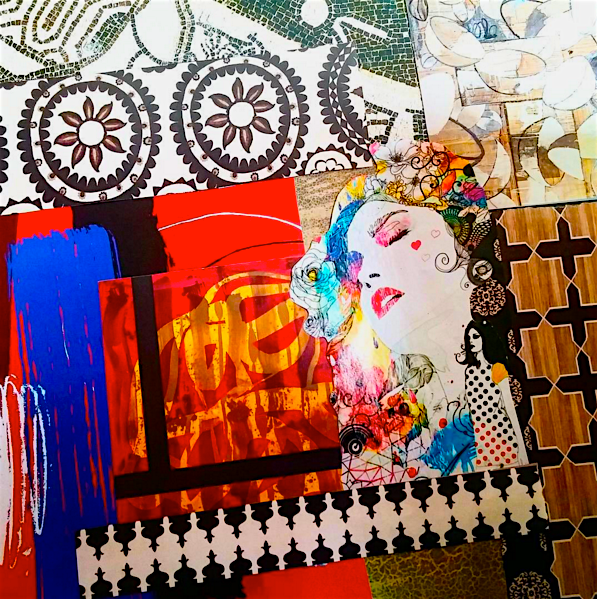 Create 90 spontaneous collages in 90 days. 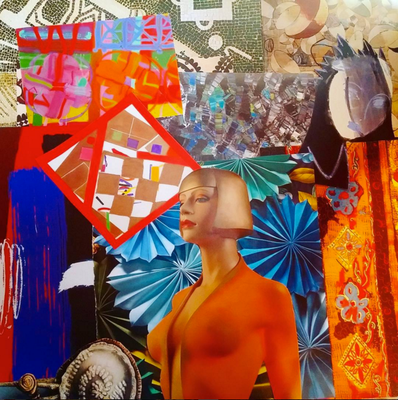 See How to Create an Intuitive Collage. 2. Photograph your collage and post it on Instagram. If the content of your collage is too personal - photograph a detail of your collage in process. 2. 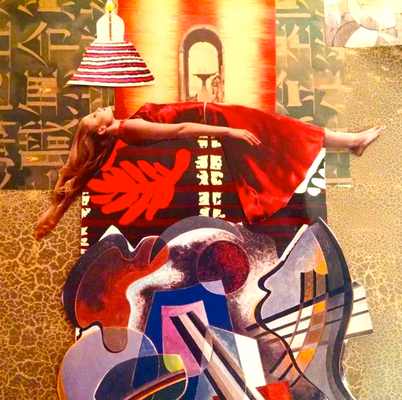 Give each collage a name that best describes the emotional tone of your collage. 5. Tag or mention me on Instagram in your post @shelleyklammer if you want me to follow your collages. Why would you want to create 90 collages? 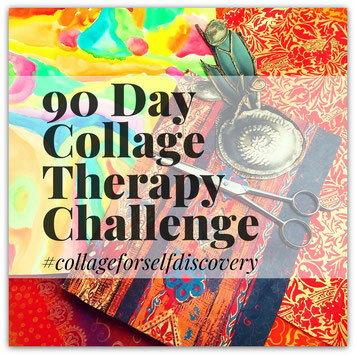 Many people have created 90 collages in approximately 90 Days and have said how emotionally releasing and cathartic it is. 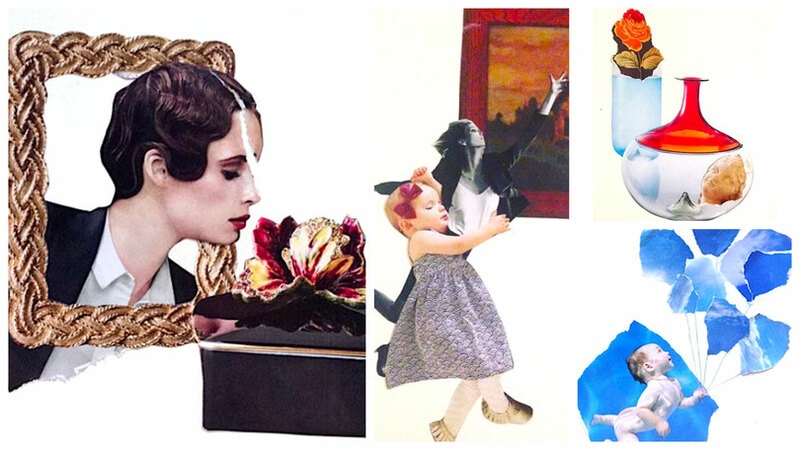 Check out the over 3000 collages created on this challenge on Instagram HERE. Enjoy and see you on Instagram! Try a "Flat Lay" Collage! I have been creating what I have called, "table collages" where I just play with images on my art table without glueing them down. To preserve my arrangements, I photograph them and save them on Instagram. There are many advantages to creating in this casual way. One great thing is you can use the same images over and over again. So, if you are struggling to find imagery for the 90 Day Challenge - try this! Also, consider these sources for finding imagery. Collage demo from challenge participant Marianne Greef Burger. Visit her website HERE. Olga @olgarab76 completed the 90 Collage Challenge on Instagram, and she just keeps going and going! 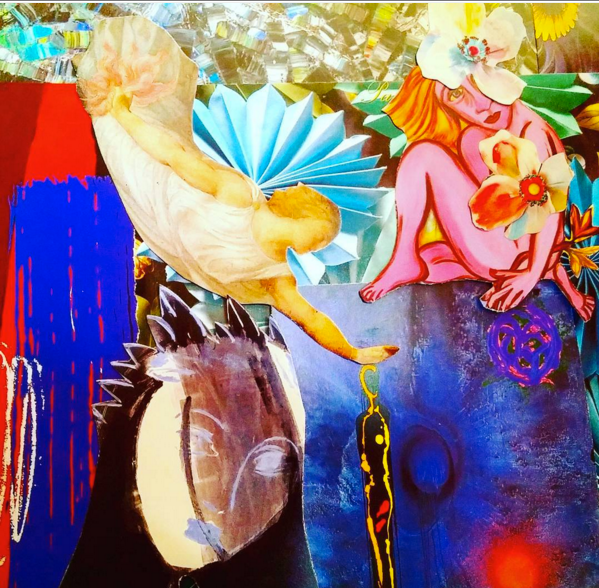 I think her collages demonstrate how poignantly simple spontaneous collage can be. Follow her HERE.